While the growth of online retailing continues to create pressure on brick and mortar, Joey Pointer, Fleet Feet Inc.’s new CEO, remains resolutely upbeat. “There’s probably not a bigger group of retailers who are excited to be in the position they’re in if you look at all the headwinds that retailers are facing,” said Pointer about Fleet Feet Sports’ franchise owners last week at the brand’s annual franchise conference in Pinehurst, NC. Still, Pointer said retail is “not for the faint of heart,” is changing faster than ever due to digital shifts and demands a rethinking of basic business practices on both the retail and vendor side. Toward that end, Fleet Feet Sports is evolving its fit process with the launch of Fit ID, a 3D scanning solution that helps the fit specialist “bring the fit experience to life for the customer in a whole new way,” said Pointer. In 25 stores now and with a full rollout planned for October, Fit ID takes a 3D scan of the customer’s feet, then outputs measurements such as length, width and arch height onto a tablet with a 3D rendering. Fit specialists then use the rendering to highlight observations about that customer’s foot shape, heel width and other areas before recommending solutions and products to that customer. The customer then receives his or her 3D scan via email. Pointer notes the brand’s recently refreshed marketing effort Fitlosophy®, which debuted at conference, encompasses this unique in-store experience found “only at Fleet Feet Sports.” The Fitlosophy positioning and messaging speak to all aspects of the in-store experience, including fit id, and will begin to roll out in stores this August. Pointer said the event will return for next year’s Global Running Day again in partnership with Brooks. Fleet Feet Sports looks to further that notion of locally run, nationally one, later this year through an October promotion with Mizuno. Fleet Feet will have an exclusive model of the Wave Rider 21, as well as custom t-shirts, available for sale in-store. A portion of the proceeds from every one of these items sold will go back to the Breast Cancer Research Foundation (BCRF) as part of a larger effort to eradicate further loss of life from breast cancer. 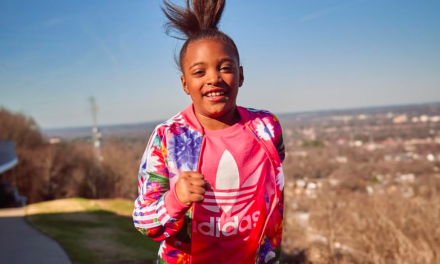 The “Project Zero” initiative marks the first-time Fleet Feet Sports stores nationwide have partnered together with a brand to give back to one charity. Mizuno will also include two of its sponsored athletes—volleyball Olympian April Ross and collegiate All-American and softball Olympian Jennie Finch—to extend and promote the partnership beyond the running community. Growth also remains ahead for the brand, though at a measured and strategic pace, said Pointer. Fourteen stores are set to open this year, joining the brand’s already 165 locations in 38 states. 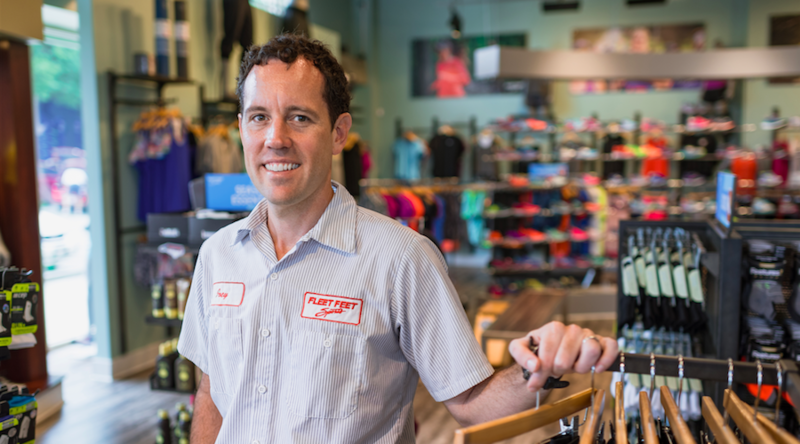 Pointer said while Fleet Feet Sports will still acquire locations and open stores from scratch, he’s most encouraged by the success the company continues to have with conversions, or where an existing store converts to a Fleet Feet Sports franchisee. He believes that underscores the value Fleet Feet Sports can bring to franchise partners. In another interview at the conference, Bob Shooer, owner of Fleet Feet Sports Pittsburgh and chair of Fleet Feet Sports’ franchise advisory council, feels a greater transparency is also being felt between franchisees and Fleet Feet Inc., in part due to retail’s new challenges.